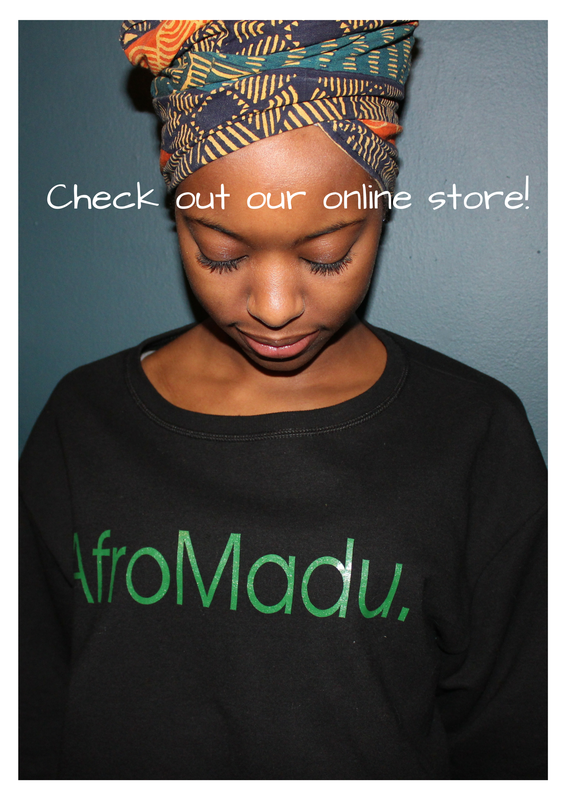 AfroMadu Online Store! | AfroMadu. Hello AfroMadu readers! We officially have merchandise at your disposal for purchase! Help us, help the community. Our proceeds not only continues to build our great company, but it also allows us to fund our community service projects and events we serve for the public. Every purchase counts. Help our Black owned business! Previous Post“All About Love: New Visions” (bell hooks) Final DiscussionNext PostBlackHealth365!